Want To Be Successful With The vidIQ Affiliate Program? Welcome to the vidIQ affiliate program. We are really excited that you&apos;ve chosen us as an affliate partner and we are dedicated to helping you generate the most passive income you can from this opportunity. Check out our 6 best affliate success tips below to help you drive the most sales! 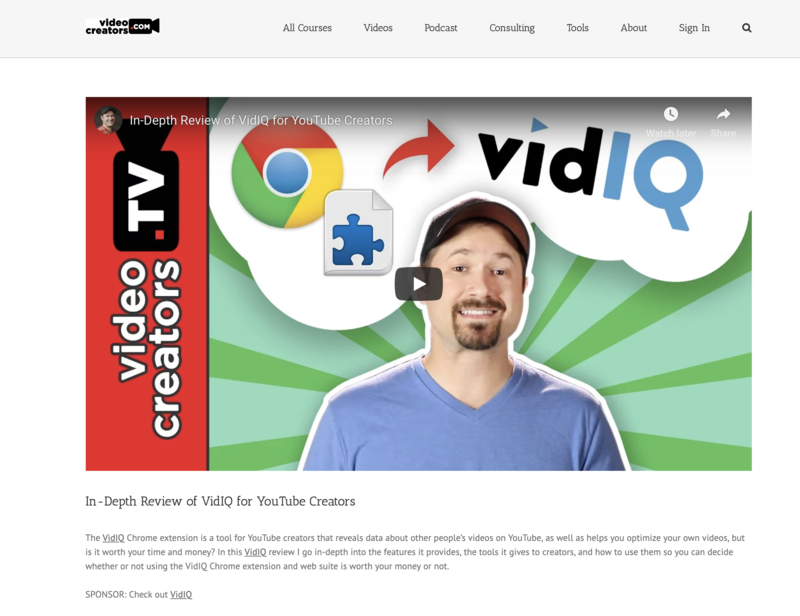 Create video content for your audience that shows what you love about vidIQ and how you use the tool to build success on YouTube. For instance, this awesome video from Sean Cannell generated a lot of sales and commissions and is an excellent example of best practice. Thanks Sean! Make sure to add your affiliate link in the description box on YouTube and tell people about it in each video. For maximum impact, we strongly suggest putting it near the top before the "show more" button. Send dedicated emails to your mailing list highlighing the reasons why video creators should install and upgrade vidIQ. Just make sure you use your affiliate URL to send people to a free trial! 4. Share Your Affiliate URL Everywhere! Always share links to vidIQ via your own personalised affiliate link so that you get all the credit for the sales you make. Whether that&apos;s on YouTube, via your newsletter, or any other channel you are active on. Don&apos;t forget about social media too - spread the word via Facebook, Twitter and Linkedin posts to your followers and fans. A really great strategy for affliate promotion is to create website content or blog posts with the aim of ranking well for vidIQ search terms. This is an excellent example from Tim Schmoyer who created a landing page for his YouTube review of our tool. To get the most out of your affliate partnership with vidIQ, take time to keep up to speed with all the features of the tool so you can teach the value to others.